Looking for the best digital cameras for kids? First, this article will help you decide what's the best type of camera for your child and then you'll find the best digital camera for children to buy. One of the biggest mistakes you can make when picking the right digital camera for your child is buying the wrong type of digital camera. for a 7 year old child. DSLRs are simply too big for children less than 9 years old. Although it's cute to see your young child holding a DSLR, they're too big and heavy for a young child to even hold without the use of a tripod. You want your child to have a great experience with their first camera so that they'll continue to use it and enjoy photography. If you get a toy camera for a child who's a little older, they'll get bored with it soon enough and move on to do something else. There are 3 types of digital cameras that are suitable for children. You can get a toy camera, a point-n-shoot, or a DSLR. Your child's age is the biggest factor in choosing the best digital camera format. The youngest of kids can use simple toy cameras. 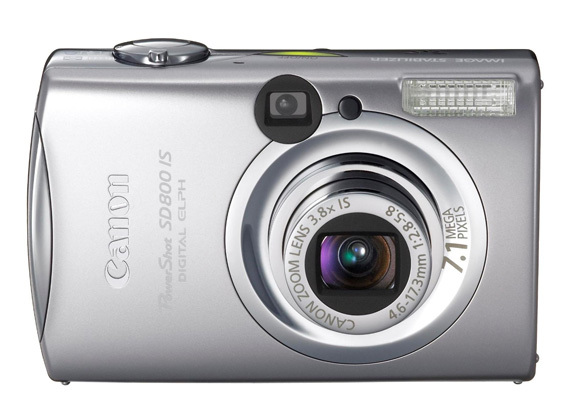 The point and shoot camera may be the best one for pre-teens to begin with. 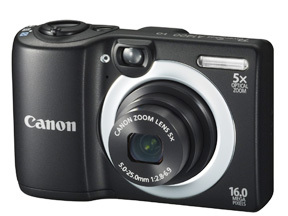 Point-n-shoots are fairly small and fairly easy to carry for anyone. 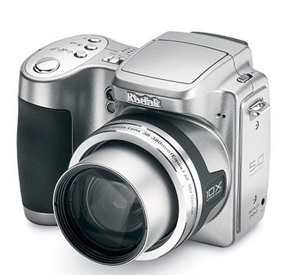 Point and shoot cameras also have removable memory cards for easy transfer of images to your computer. Smaller DSLR cameras, with more features and settings to explore, are the best choice for the older kids. The toy digital cameras might be more appealing to use for the very young kids and a DSLR might be a better ideal for older kids who've shown a genuine interest in photography after a trial run with a point and shoot camera. 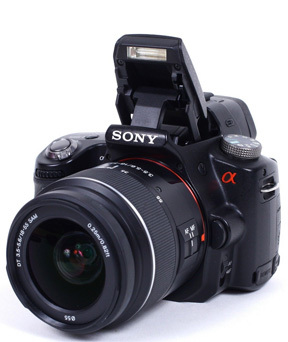 A DSLR is a great idea as an upgrade for a budding photographer who has outgrown a simple point and shoot camera. Let's take a look at all three types of "kid cameras" and what advantages each has. 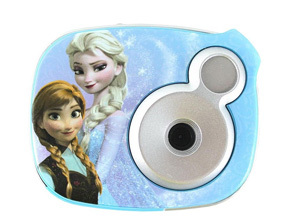 Toy cameras are the best digital cameras for kids in the 3-7 year old range. Toy digital cameras have brightly colored designs to appeal to young kids and will make them want to pick them up and play with them. 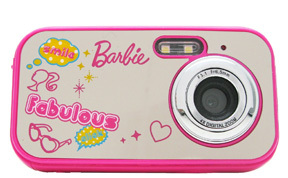 Some have a theme like the Barbie camera, a superhero or cartoon character. They usually have big buttons and are easy to use for young fingers. They are often the most affordable but, almost always the quality of the images is poor. Image quality is usually not important to the very young photographer. 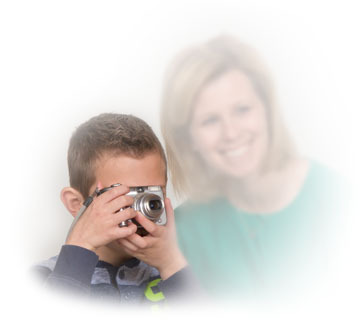 You should not use image quality as a big factor when choosing an appropriate camera for a 5 year old. More than anything else, they must be fun to use. Toy cameras with soft, impact-cushioning outsides make sense for young photographers who might have a tendency to drop them. The biggest disappointment that parents report is that their child loses interest in these too quickly and moves on to play with something else. 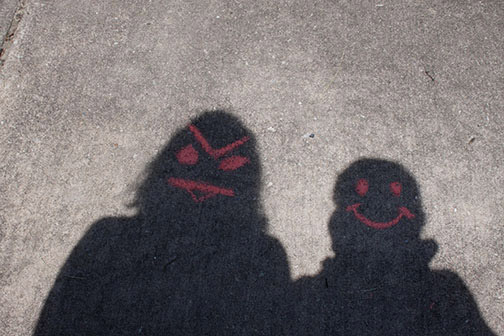 This is where you should be proactive and take photos together with your child. The biggest complaints from reviewers involve reliability in using toy cameras and difficulty in uploading them to a computer. The LCD screens are often small and it's difficult for you to evaluate the image until you upload it to your computer for viewing on a larger screen. These cameras are marketed at 3-8 year olds and the most positive comments usually come from parents whose child is between 5 and 8 years old. 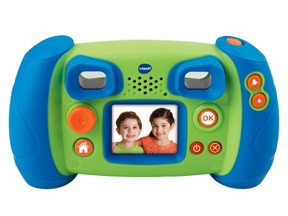 This Vtech camera shown here has overwhelmingly positive reviews from consumers. 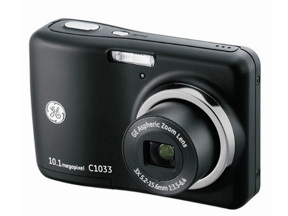 It shoots stills, video AND has a voice recorder. In all my research this camera came up with flying colors more than any other. At the time when this article was written, 100% of reviewers rated this VTech a 4 or 5-star purchase. Here is Vtech's video advertising their offer in the children's camera market. It does a good job of giving you the rundown on the features this type of camera has for your young beginning photographer. The majority of digital cameras fit into this category and this type of camera should be a strong consideration when searching for the best digital cameras for kids 7 years old and older. This type of camera is clearly not a toy and is appropriate for older kids and better for those young people who have a genuine interest in photography. There's a huge range in options with different features and prices within this category of the best cameras for kids. 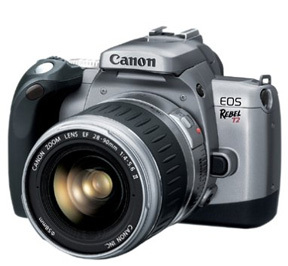 There are high end point-n-shoot cameras that can even satisfy camera enthusiasts like you and me. As an example, you can do a quick search on Amazon for "used point and shoot cameras." You get a lot of results for cameras under $50 and some of them are very highly reviewed by consumers. Try a different search using a new set of words and you'll get a completely different list of results for kids cameras. You have many, many choices on where to buy the best digital camera for your child, but nobody beats Amazon when it comes to reading the reviews on just about any product. 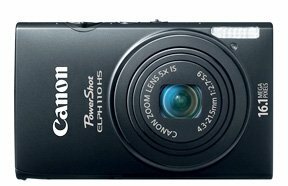 One smart strategy is to consider buying a used point and shoot camera for your budding photographer. This way you're not risking much in terms of money and your child is getting a good taste of photography with a "real" camera like a DSLR. If it's a gift, make sure to wrap it up special. It's not as exciting to get a used camera in an old box as it is to open a new package. Going with a used DSLR is a good option if you're not obsessed with the latest and greatest model. Slightly outdated models are often sold with zoom lenses included and the older kids will be able to handle the heavier size and more advanced features. If you don't mind the significantly large investment, of course you can splurge on a new DSLR at a reasonable price. Because new models of DSLRs are constantly being released by camera manufacturers, there is a big opportunity in the used DSLR market. When I first started shooting professionally, I bought nothing buy used camera equipment on ebay. That was back in the days of film cameras and I was shooting with medium format Mamiya 645 cameras. At that time, I would purchase and immediately test the cameras or lenses as soon as they arrived. If there was an issue-and occasionally there was-I would return the equipment, get a refund, and only would have lost out on shipping charges. When it comes to searching for digital photography equipment I am the guru for Google searching and Amazon review reading. It recently took me about 6 months to decide on a new backpack style of camera bag, but that's a an article for you to read another day. Sometimes, when I do my searches for camera equipment, I start with the best selling products and work my way backwards. Why you would want to do that too? Rather than determining desired features and a price limit before you search, find out what the best sellers are within a category and see what features are most favored by other photographers who have already purchased a certain type of camera or accessory. As I mentioned, I used Ebay quite a bit when I was beginning my career and buying used cameras and accessories. Only buy from sellers with high reputations. It's the only way to use Ebay. If you are buying new or used children's cameras you can use Amazon and their huge selection and the reviews from people who have already purchased.. They have more variety of good cameras for kids than any other retailer on the planet. 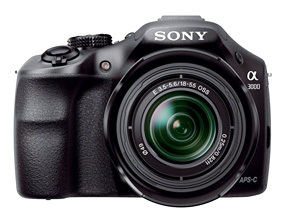 Here are the 3 best digital cameras for kids. Use a dedicated photography retailer like Adorama or B+H Photos for professional camera equipment. There are 3 main things to consider when choosing the best cameras for kids. HOW MUCH DO CAMERAS FOR KIDS COST? Spending a lot of money on a kids camera is risky. There are other electronic toys that cost much more. 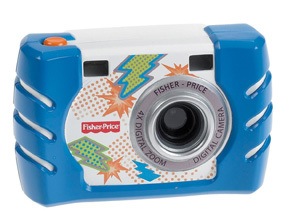 Currently these plastic "toy" cameras are running in the $30-50 range. 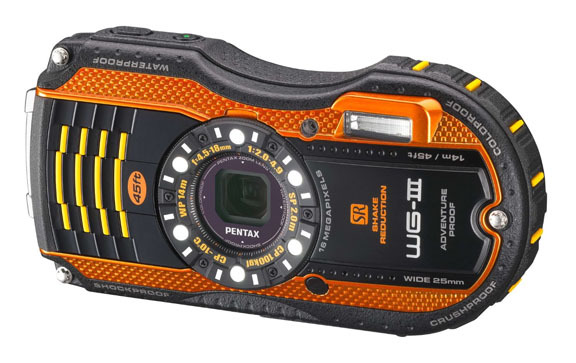 There are choices in the $200 range that are good rugged cameras, that look cool, and are more durable and sophisticated that appeal to older kids. Consider how old your child is and if this is the right camera size for them. If it is recommended for kids ages 3 and up, your 3 year old child might not quite be able to handle it just yet. The toy-like cameras are big and boxy, meant for small hands that have not yet developed the fine motor skills for intricate camera manipulations. The smaller kid cameras are actually better for bigger kids. Older children have better developed fine motor skills and can handle the smaller camera body and buttons better. Kids don't need to have huge digital image files to produce wall murals or billboards, but like us, they like nicer looking photos. The size of the camera sensor is a big factor when it comes to print quality. You won't get professional quality photos from a toy-like camera, but that's okay. These cameras are designed for young children to have fun and learn. The important is how the photographer uses the camera. As Ansel Adams said, it's the 12 inches behind the camera that matters most. Here are a few photography tips for children. The biggest complaints that I hear with the quality of photos from beginner's cameras are blurry photos and dark photos. 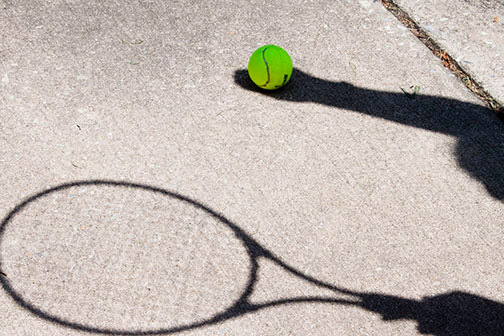 These two common shortcomings give you the first two opportunities to learn from. 1.Brightness. Teach them to see the difference between bright and dark situations. These budget cameras will not be able to handle low light situations very well. It is a great opportunity for children at a very young age to learn how to "see the light." Look for brighter situations. They provide better "information" for camera sensors and photography is all about lighting. I am still learning about lighting after 45 years of photography experience. 2. Sharpness. The best way to combat blurry pictures is to have a steady camera. Show them how to hold the camera steady while pushing the shutter button gently. Staying still for a second after pushing the shutter button helps too. This is challenging for the very youngest photographers-it's a challenge for us old photographers too when we're in a hurry to look at the image on the LCD. Practice patience. on you than on which camera you choose for them to use. That's right. A little guidance and side-by-side interaction between you and your child will make a huge difference in the value your child get from a new digital camera. Digital photography provides an opportunity for your children to learn about the world, develop visual skills and creativity. It can also simply be a lot of fun for them. But if you expect to just hand them a nice children's camera and get an extended good the experience, you may be disappointed. It's best if you participate too. Take an active role. Children can learn some things on their own but benefit even more when given guidance. Give them a few fun "projects" to play with. Depending on the age and maturity of your little photographer, you could have them photograph the alphabet, objects that begin with the letters A, B, C ... You could also give them a theme to follow like photographing textures, or a certain color, or shadows, or the same subject in 3 different ways. Evaluate your child's photos. Ask them what they like, what they don't like, or what they would do differently if they were to take the photo again. Our brains learn by asking the right questions. You have a great opportunity to spend quality time with your child on a mutual interest and build your relationship. There are some good books out there for you too. Read the reviews on several of them and get the one that makes the most sense for your young budding photographer. Here's a recent update to add to search for the best cameras for kids. Some may say it's a gimmick, but the opinions of those who've purchased are pretty high. When I first came across this kids camera I confess I thought it was a stupid idea. After watching the product video and reading the reviews, my opinion has changed. It makes a really fun gift for a child. It certainly isn't going to be classified as a high quality camera. It's rally more of a combination of several different activities that makes this a interesting choice. The VTech Kidizoom Smartwatch has 3 fun activities, 5 games, 3 action challenges and a motion sensor. The display has over 50 clock face designs. The camera/watch is splash proof for everyday play. It's not submersible. You can't take a bath or swim with it on. More than just a watch, it's the Kidizoom Smartwatch DX; features rechargeable Lithium Ion battery and includes micro USB cable to upload photos/videos as well as recharge the battery. Kids watches are perfect for young photographers. This durable smartwatch has more memory so kids can take tons of pictures and videos. The camera has photo effects, video, a voice recorder with voice-changing effects and a touch screen. I feel strongly about the benefits of photography in impacting children in a positive way. As a society, we have become increasingly visual in communicating with each other, now more than any other time in history. Sending photos via smart phones, posting on sites like Facebook, Pinterest, Twitter, Instagram, and SnapChat are just a few examples. Your search for one of the best digital cameras for kids can lead you to a better relationship with your child. Work on fun photography "projects" together. 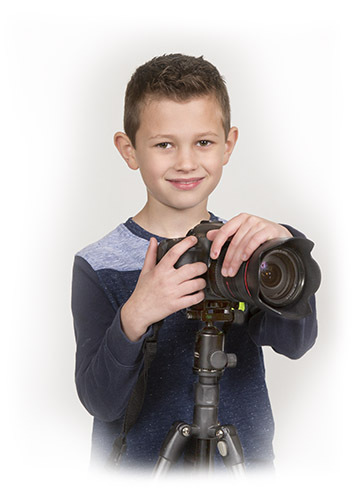 You and your young photographer will have a blast learning together. I wish you good luck with finding the right camera for your child. 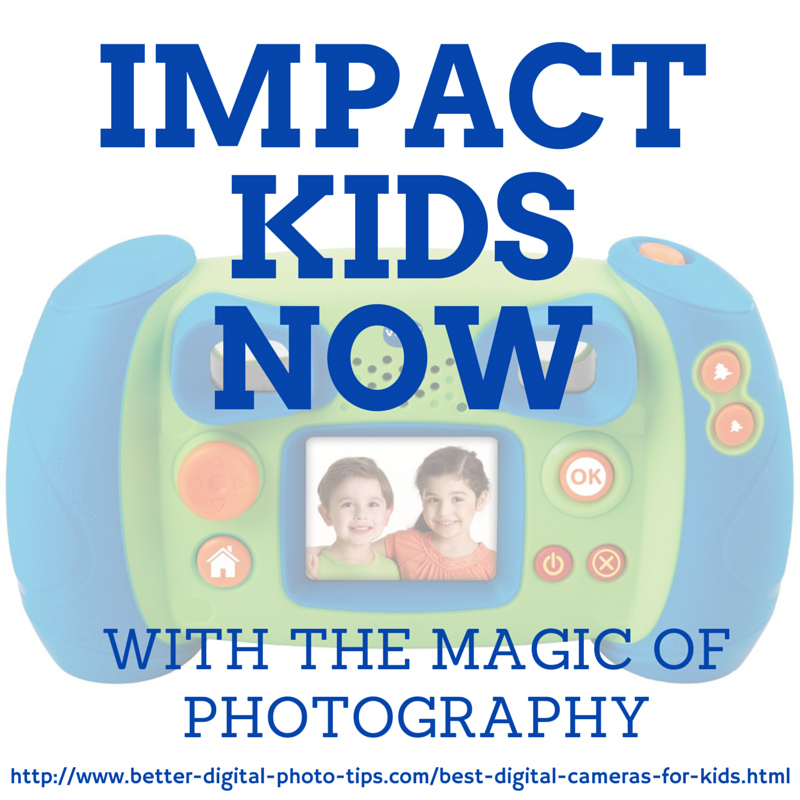 The best digital cameras for kids are the cameras they will use the most. Make it a fun experience and build their confidence in using it to get good photos and you will get your money's worth. It's a great time to be interested in photography and you have some great options to choose from in your search for the best digital cameras for kids. 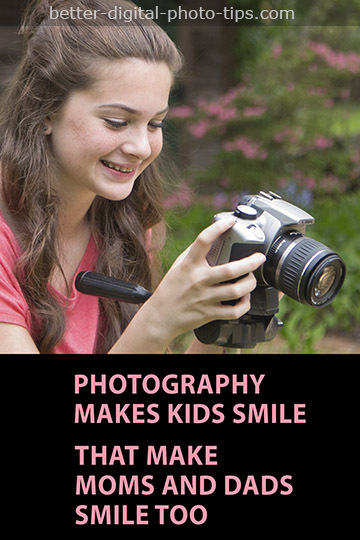 Kids can build confidence and improve self esteem using the magic of photography. The link referred to in this Youtube video is the link to this page. Terms you can use when you search this topic: best digital cameras for kids, best camera for kids, top cameras for children. Basic Digital Photography course for kids ages 9-13.